As with many people born and reared in Alaska, Merriner ordinarily spends five weeks each summer fishing commercially. (After deckhand work for seven years, he became owner/captain of an operation at 22.) When his superintendent duties kept him from participating in the fishery this past summer for the first time in 33 years, his wife, Debbie, ensured that their operation—fishing for sockeye salmon in the Egegik district of Bristol Bay—continued. He earned a teaching certificate from the University of Alaska in 1995 and an M.Phil. in school development/school leadership from the University of Cambridge in 1996. Back home again, he moved, after several years of teaching social studies in junior high and high school, into administrative roles in both private and public schools. When incoming lieutenant governor Sean Parnell called “out of the blue” in 2006, asking him to become his chief of staff, Merriner accepted, “to build relationships with Alaska's political players and learn first-hand how things get done in Juneau.” Those experiences, including appointment to the state’s board of education in 2010, taught him the nuances of how to advocate effectively for school districts within state government, and Harvard, he says, had equipped him with “the problem-solving and communication skills to lead an educational organization.” In 2016, he felt ready to accept a new role as assistant superintendent of the Galena City School District, in west-central Alaska. He’s now superintendent. 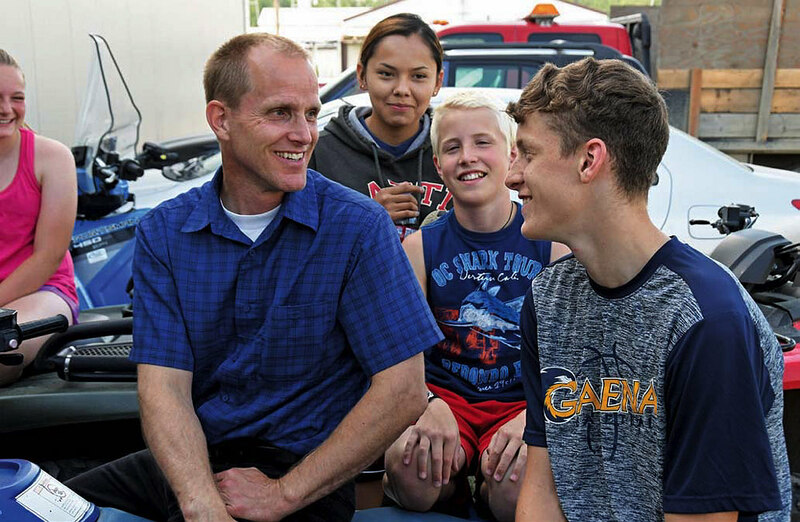 “Living in an isolated off-the-road-system community is not a piece of cake,” he acknowledges, but as lifelong Alaskans, Merriner and his family welcomed the opportunity to move to remote Galena. With only 500 year-round residents, the city nevertheless has a major educational footprint across the state. Besides its pre-K-12 school, serving about 100 local pupils, the school district runs Galena Interior Learning Academy (GILA), a boarding school for 230 high-school students. Housed in a former Air Force station, GILA has facilities rare for rural Alaska—a swimming pool, gym, racquetball courts—and an innovative program of college-prep courses, industry certifications, and vocational training in aviation, applied mechanics, construction trades, cosmetology, health science, and information technology. His biggest challenge, he says, is lack of adequate financial resources. State funding for K-12 education has lagged inflation for years: he estimates that in terms of per-pupil state funding, the school district received approximately $2.5 million less in 2018 than it did in 2011. Merriner has scheduled meetings with state legislators to explain how tenuous the continuation of GILA is as a result. Merriner loves to hear from fellow graduates. Visit www.galenaalaska.org for more information about the Galena City School District, including his contact information. More information about Sidney C. Huntington, for whom the high school is named, is available here.